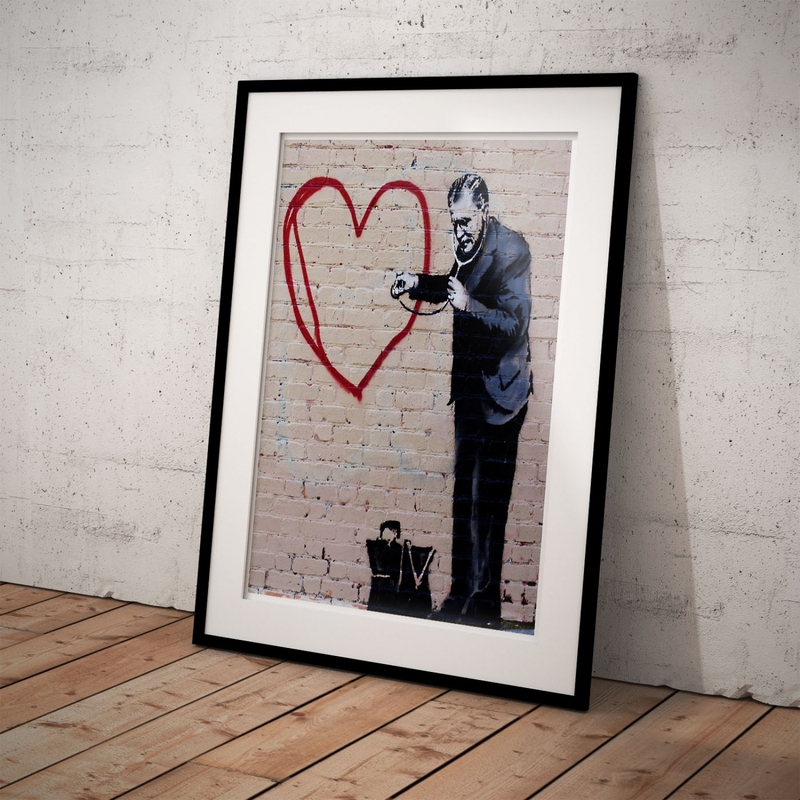 Banksy Street Art tells a story and Banksy has powerful stories to tell. 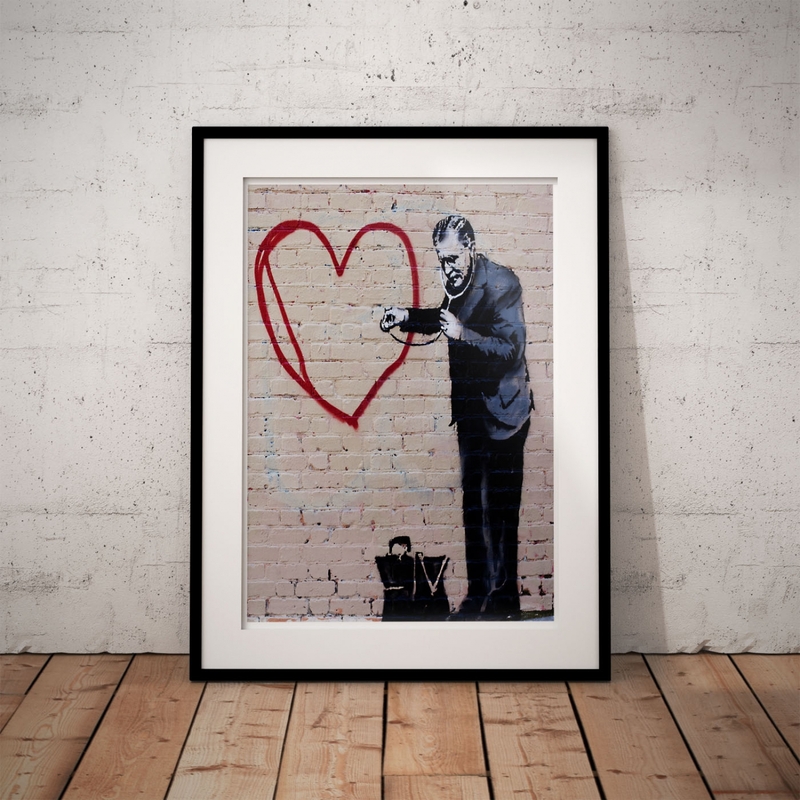 Every picture tells a story and Banksy has powerful stories to tell. 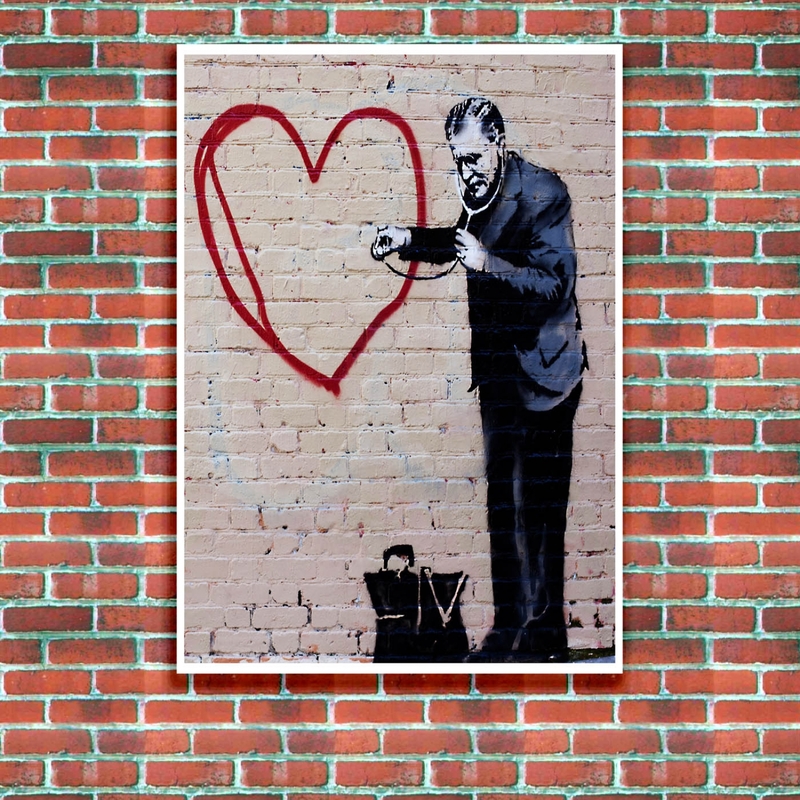 Peaceful Hearts Doctor appeared on a wall in San Francisco in 2010. 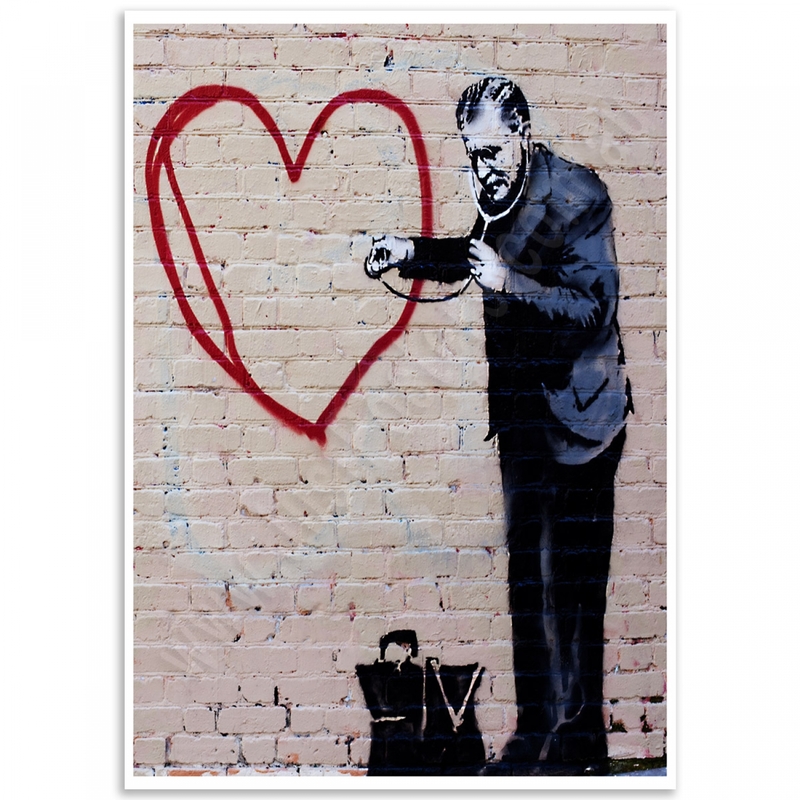 The artwork shows an old school doctor checking out a free hand heart with a stethoscope. 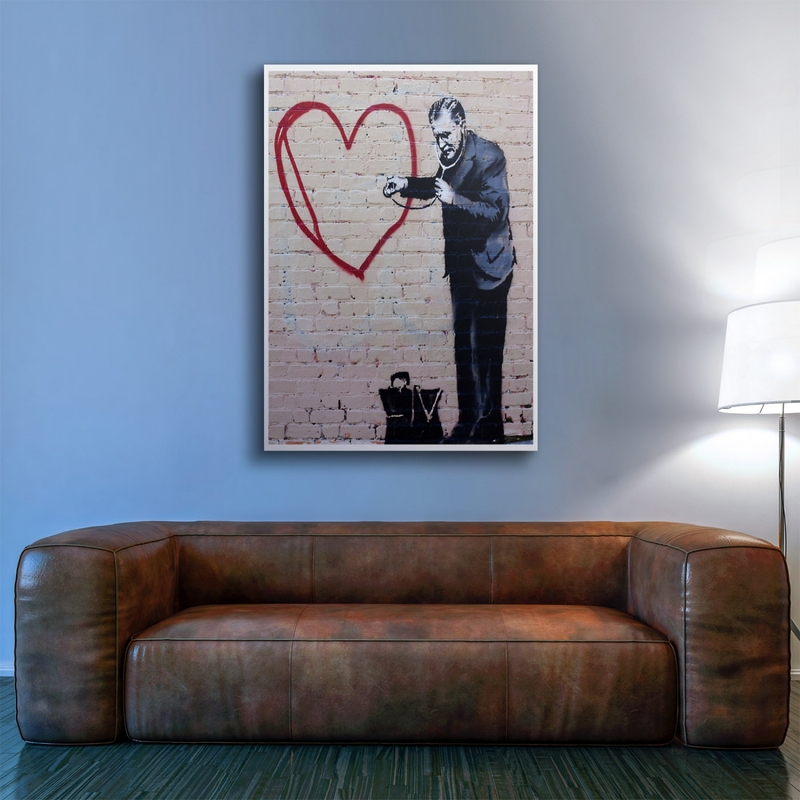 The "Banksy, Peace Love Doctor" poster was created from an original photograph. Smile Girl - Street Art PosterBanksy Smile Girl Street Art tells it like it is.The original “Smile G..
Peace and Love Doctor - Street Art PosterStreet Art tells a story and Banksy has powerful stories to..